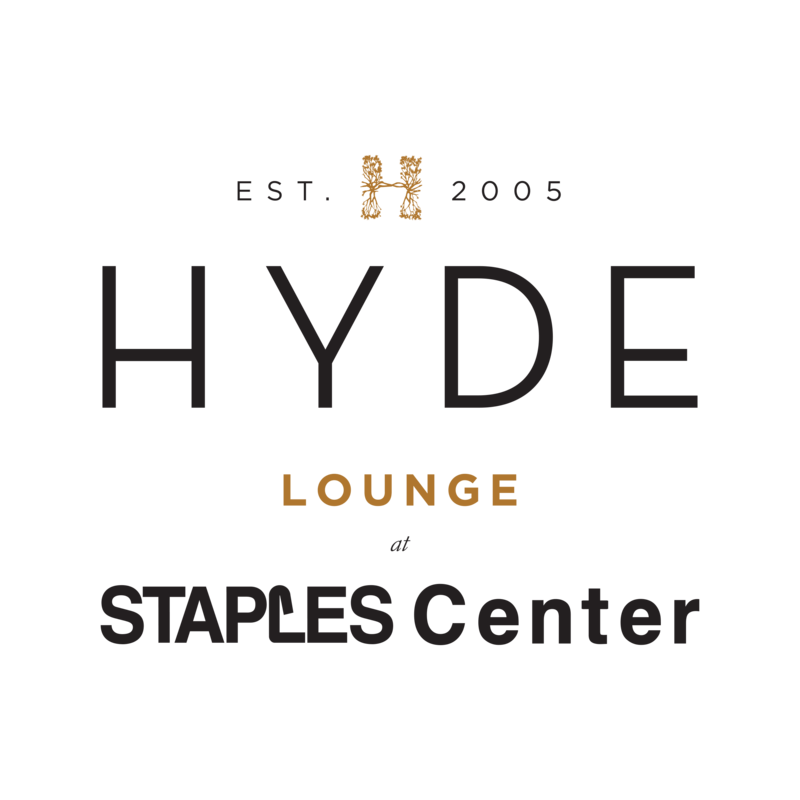 Hyde Lounge at STAPLES Center combines a lux and sophisticated ambiance with spectacular views of the best concerts, shows, and sporting events in Los Angeles. 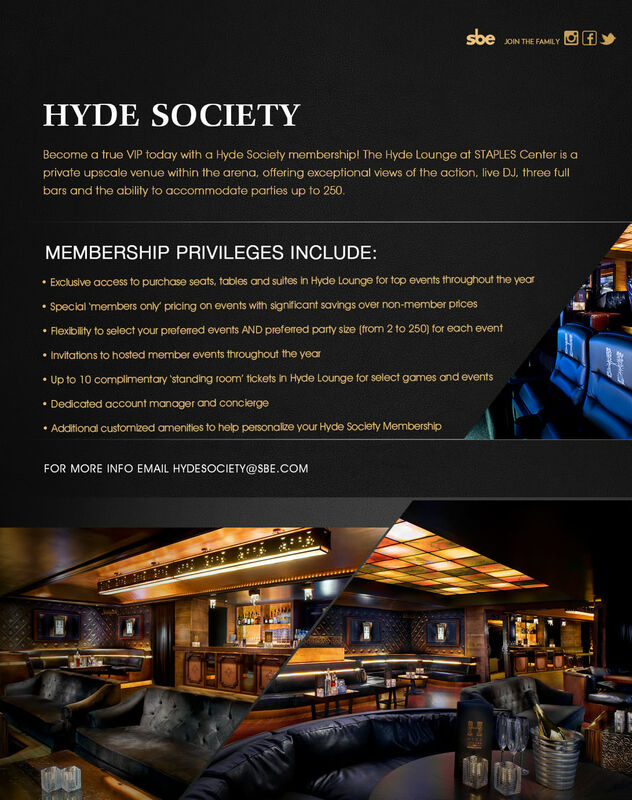 2018-19 Hyde Society Memberships available now! Hyde Lounge at STAPLES Center, located on suite level C of the STAPLES Center in Downtown Los Angeles, delivers the ultimate viewing experience for sports and entertainment. The 4,000 square-foot ultra-lounge features three bars, ledge seating, a dancehall and a private “Great Room.” Floating LCD TV screens, rosewood walls, and plush table service provide a pristine viewing environment for some of the world’s greatest concerts, shows, and sporting events. “After watching Lakers games, and experiencing concerts at Hyde Lounge, it was time to take in a Kings playoff game from Suite Level C.
Open beginning one hour before and during all concerts and games. Enter through the Southwest VIP Entrance.